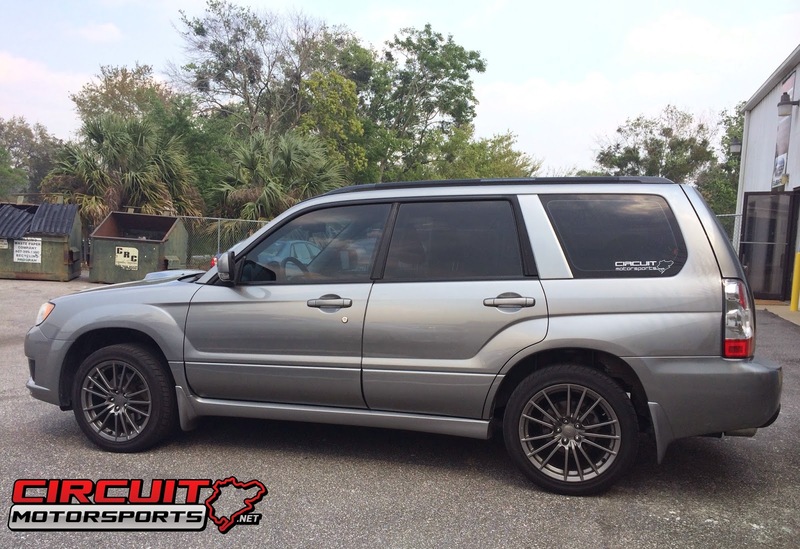 We did an install on a Subaru Forester with a set of H&R Wheel Spacers & longer Studs so the customer could use a set of WRX wheels and tires. The WRX Wheels use a higher offset and the tires were just touching the shock housing. So the customer decided he wants to use a set of 5mm spacers to get the clearance he needed to run the wheel and tire combo. 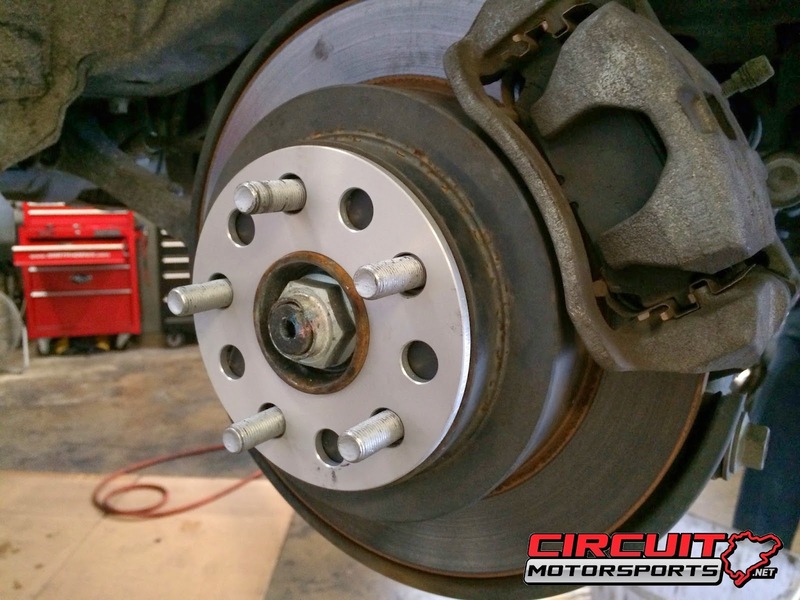 We installed a set of H&R 5mm Wheel spacers and studs. The H&R kits because they use high quality hubcentric spacers, and they provide longer studs for use with OEM lugnuts. The studs are exactly 5mm longer, giving the exact amount of shank length needed to get the necessary 10mm of lugnut engagement. 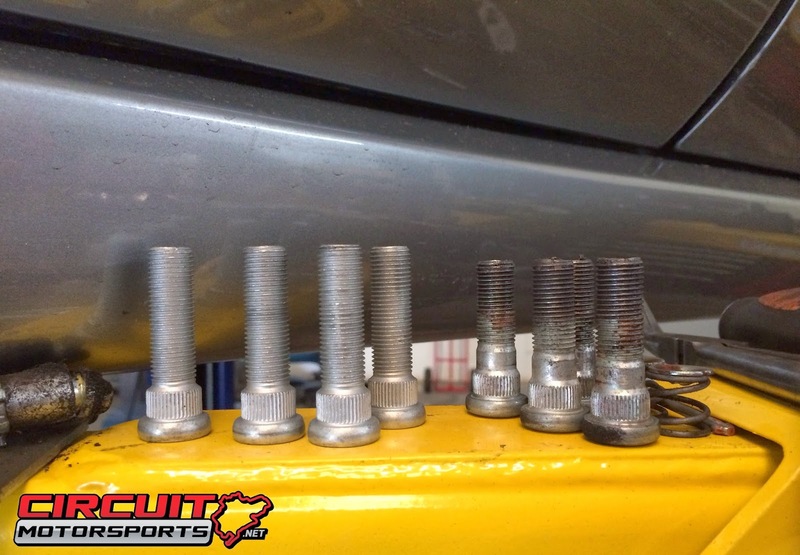 If you install spacers and do not use longer studs you could run into a serious issue where the lugnuts do not have enough stud to get a proper load bearing grip. You run the risk of shearing off the studs/lugs, with potentially catastrophic results. We highly recommend checking into the spacers and studs. Whether you use a high quality kit like the K&R's, or if you go with a spacer set that doesn't come with extended studs, use a high quality replacement like ARP offers. We removed the old studs, pressed in the new studs and installed the wheels spacers and new wheel/tires/ The fitment is spot on, and the tires now have enough clearance so there is zero rubbing. 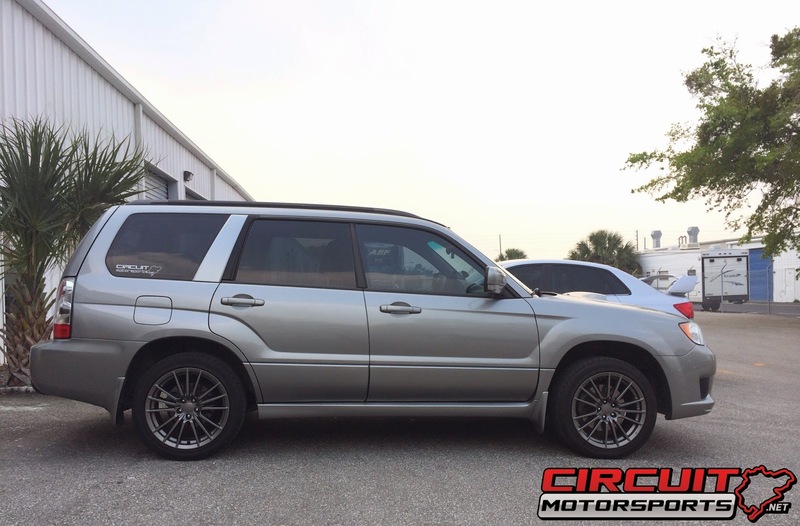 The new wheels and tires looks great on the Forester! 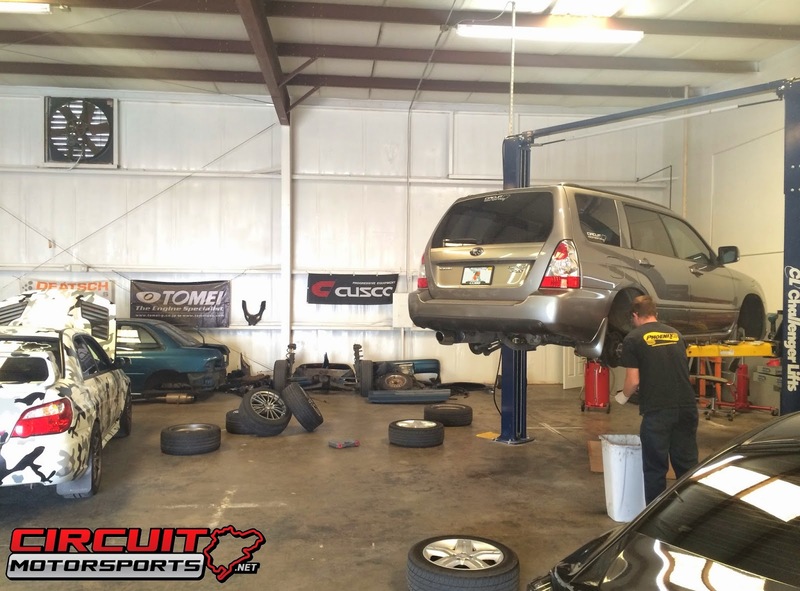 Circuit Motorsports is a Performance Shop located in Orlando, FL, we specialize in Subaru OEM service and upgrades as well as tuning.